Whenever I visited my grandparents when I was growing up, I'd hear about the diamond mines nearby. I now know they were talking about Herkimer Diamonds— not true diamonds, but water-clear double-pointed quartz with natural faceting. This type of stone is found in only a few places on the planet, most prominently including Herkimer County, New York, and war-torn Afghanistan. I get my stones in person from one of those places, though I won't spoil which. Most jewelers who work with Herkimer Diamonds have to order them from afar and hope for the best in terms of quality. I go directly to the Ace of Diamonds Mine when I visit my grandpa, and I pick out every stone with care. 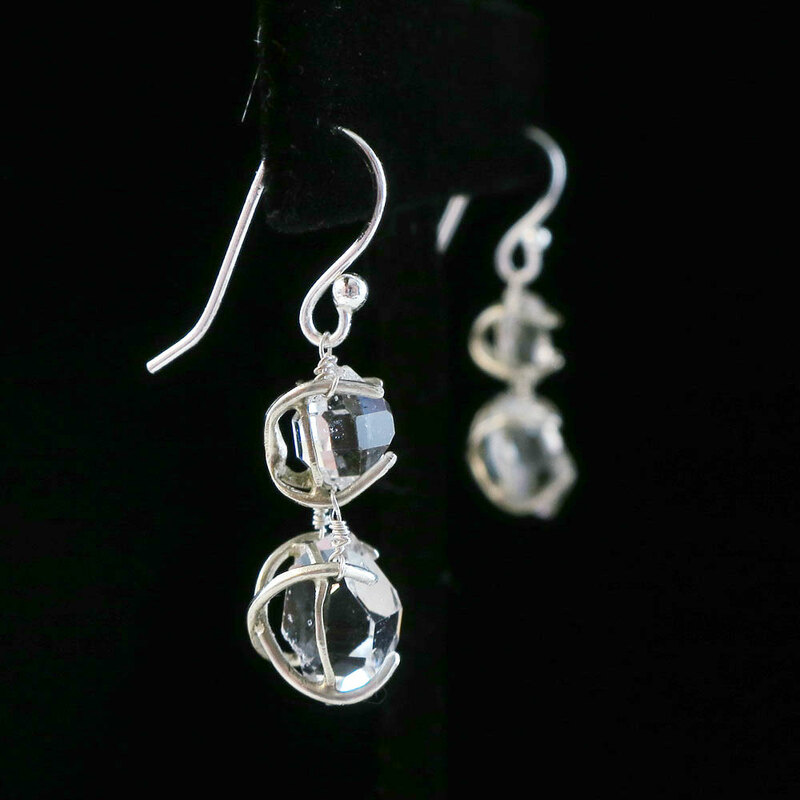 Herkimer Diamonds are hard to do justice to in photos. The way the light bounces around inside can't be seen in just one picture. I've tried to get representative images of each stone I sell, so I recommend you explore the gallery to get a glimpse of the brilliance of my jewelry. Not everything I craft for Marble Road includes Herkimer Diamonds, but everything Marble Road is shiny and luxurious.